pen. AINVSA is inscribed at the base. g) To publish in various languages incorporated in the constitution of India books, magazines souvenirs ,brochures ,pamphlets and handbills on educational, social and cultural activities in NVS, AINVSA and sister associations. i) To extend benevolent help to the members and their families in case of emergency or at the time of need. k) To work for any other professional interest which is for the good of the Organization. n) To arrange educational tours-both in land and foreign to broaden the outlook and academic horizon of its members. o) To try to from federation of all the association of NVS to further interests which are common to two or more of such associations. · Monthly subscription is Rs.10/ which is liable to change from time to time as decided by the Central Committee. · The duration of membership will be from January 1st to December 31 st of every year. · The employee who is desires to be a member of the Association shall submit an application on prescribed format to the Secretary of the Vidyalaya Unit. · The receipt for enrolment fee has to be issued by the Unit Secretary after duly signing it. · The format of the application form and the receipt shall be decided by the Central Committee for the purpose of uniformity. · Up on renewal /enrolment of membership the list has to be prepared by the Unit Secretary and sent to the Central Committee under the intimation to the State Committee. · He/She will , subject to the provision to continue as a member even it is placed under suspension or if terminated by NVS until association He/She loses in the supreme court, if the matter reaches there or to the stage the Association intends to take the matter to. · No employee can be denied the right to be a member of the Association without citing proper reason and the approval of the State/Central Committee. · Only the Central Committee is vested with the power to decide the duration of membership or the time of enrolment of members. · The G.B /Delegates convention reserves right to grant honorary membership to any person other than the staff members of the NVS. Such members shall be exempted from the membership fee and the monthly subscription .Such members shall not exceed more than one third of the total Membership. They will not be entitled to vote. installment of monthly subscription shall be sent to the Treasurer AINVSA,CEC by means of a Bank Draft /Cheque (outstations cheques will carry collection charges) in favor of AINVSA along with enrolment / membership form by the Unit Secretary . ii. Each member shall pay a subscription of Rs.10/ per month from the date of enrolment or at the rate in force. c) 40% of the above monthly subscription shall be sent direct to the central committee by the Unit Secretary. d) The shares of monthly subscription should to send to the CEC,REC, SEC quarterly. e) The amount should be deposited in the joint account of general secretary & treasurer. f) The amount can be withdrawn only with the permission of president. g) No committee shall maintain more than one bank account at a time. h) Whenever a committee opens a bank account, it shall be informed to the CEC. iv) No other collection in the shape of contribution, donation shall be made by the units unless specially directed approved by CEC. a) if he/she goes out of the service of the Navodaya Vidyalaya Samiti. c) on his/her failure to pay the monthly subscription wide rule 2 (a) above for two consecutive terms (six Months) the person will ceases to be a member of the Association. In such case, the membership can be revived if the member concerned pay all the arrears of his/her previous dues or enroll afresh. 2. An annual affiliation fee Rs:500/- shall be charged from affiliated association and will be renewed further annually subject to the payment of this amount. 3. The affiliation may be canceled in case the renewal fee is not paid by such association within six months from the date on which renewal falls due. 6. AINVSA shall pay the affiliation fee that is in force from time to time to such affiliating associations conforming to the constitutions of affiliating association. 7. AINVSA may join or form a federation of different association in or outside NVS subject to the approval of CEC/DC, and act in according with the constitution and decision of such federation. The Regional Committees will be formed in consonance with the regional classification of NVS. · To participate in the discussions that lead to the progress of the Association. · To contribute by way of money and man power towards various activities of the Association. · To participate in peaceful protests. · To participate loyally in carrying out the decisions and rules of the Association. · To read and imbibe the bye-laws of the Association. · To observe discipline with regard to the rules and regulations of the association. · To consider the interests of the Association above personal interests or gains. · To discharge the commitment to the society, organization and students. · To buy , read and propagate the publications of the Association. · To respect the flag and emblem of the Association. c) A charge sheet detailing in the allegation of anti association activities, embezzlement indiscipline inline along with the incident, communication which are raised upon must be served within one month of the date of suspension o and a reasonable opportunity must be provided to the suspended Office bearer/Member to defend himself/herself against the charges leveled. If the CEC /REC /SEC and its standing committee arrives at the conclusion that further enquiry was called for it can set up an enquiry report committee consisting of one more of CEC /REC /SEC member to go in to the matter. After the receipt of the CEC/REC /SEC member or its enquiry report. A standing committee can makeup its mind by simple majority as to absolve or press for expulsion in the manner detailed in existing rule no.06 (a and b) both similarly general Body by simple majority can decide about its action in case of a unit office bearer member. One of the three central Office bearers president General Secretary Treasurer or a substitute there of will have to work in Delhi or an adjoining station if he /she they are not already posted in Delhi and will have to continue there till their term expires. They would not apply for transfer without a clearance and the concerned office bearers will be proceeded against accordingly. a) The general body of the Vidyalaya Unit may by a majority of not less than two thirds of the members present at the time of a voting expel a member for his her anti association activities provided that the notice for such a general body meeting has specifically been included in the agenda for the meeting. a) Office bearers to be elected by the Delegates convention as per the following pattern and strength. Committee,State Committee and the Units. c) The decisions of the CEC will be final and binding up on all other lower committees. the region concerned during Delegates Convention. bearers and they shall have no right to vote. (a) They should be selected from Honorary members . (b) The power of nominating patron rests with the delegates convention . (c) Patron have no right to vote. (a) A Working President may be selected from the NVS staff if the president is a Honorary member . (b) He/She has to discharge all the President’s duties and powers in the absence of President. b) Shall take down and record minutes of all general meetings Including the delegates convention and that of all Committees The minutes shall be recorded or posted in register which shall be open for inspection to any member of the central executive Committee during working hours The minutes of the delegates convention shall be open for inspection to any delegates in similar manner. e) Shall exercise a supervision over the affairs of the association. f) Shall be the member of all the delegations and shall server as delegation secretary there to. g) Shall be the ex officio member of all the committees, sub committees of the association formed at the region and Centre. b) Shall perform all the duties of General Secretary when General Secretary is on tour or leave or resigned or expelled. units holding of training campus for office bearers etc. d) Shall deposit the surplus balance in hand in a post office current/ saving banks A/c of a scheduled bank in the name of association within a week in case of a holiday it may be deposited on the next working day. The bank accounts shall be jointly operated by the President/ General Secretary / Nominee of the President and the treasurer. g) The membership register shall be available in the Head office for reference to any members of the association . It shall be made available for inspection by the officers . The regional unit officers may maintain the membership register for its respective units. i) Shall get the accounts audited by the audit commission to be elected by delegates convention and shall renter every assistance for the commission in this regard . (a) Organize symposiums, discussions study classes, camps etc on education related topics. organizing secretary and get permission from the CEC. (a) To print and publish Magazines, News papers, Pamphlets, News let etc. (b) For this an editorial board can be constituted with the permission of CEC. (a) Conducting press meeting, communication, public relation etc are the duties of the press secretary. (b) It is the duty of the press secretary to give necessary instructions to the press secretaries of SEC and REC. For this press secretary has to take the permission of CEC. (a) Audit the accounts of AINVSA. (b) If necessary two more members can be co opted with the permission of CEC. (a) Advise the CEC on matters which involved some legal issues. (b) Take necessary steps for represent the CEC in Court cases with the knowledge of CEC. a) All the office bearers and regionally elected members of CEC will be elected at the time of delegates convention which will be convened at the indexical of two years to be reckoned from 11.07.94.An adjustment of three months at the maximum can be made while deciding dates of delegates convention. However the term should not be less than 7 and more than 10 quarters in any case. For unavoidable circumstance etc. to be recorded in writing the term may be extended for six months. Convening of delegates convention is impossible ,adhoc body of 1+14 members will be selected by CEC one month before the last quarter expires to function till the next delegates convention not later than six months from this date of formation of adhoc body. Presidents of the dissolved be will act as ad-hoc president and all the members co-opted by out going CEC and will cooperate in discharging his/her functions. c) In the event of vacancy is being caused on account of individual resignation or suspension expulsion of central office bearers CEC members the CEC or its such vacancies where there is no deputy Office bearer and these may continue until the ensuing delegates convention .On this very pattern vacancies in REC will also be filled in. d) Emergency meeting of CEC can be convened in view of the emergent circumstances. Decisions in this regard shall be taken by the standing committee of CEC . e) The CEC will meet at least once in a year TA/ DA of Office bearers is paid by CEC, that of other members by respective regions. Quorum will be 1/3 of the total Strength of the CEC The first meeting of the CEC will be held the same day of the day following election. The membership of CEC member will laps if he/she they failed to attend two consecutive meeting of CEC without satisfactory reason. Therefore in such case prier written and valued excuse is sought and got forwarded to secretary of the Association. ii) An Election Commissioner who is not a member of the association shall be appointed by the CEC preferably from among the patrons , General Secretary of a federation of state/Central Govt employee/Teachers association. iii) Two outside election Officers to assist the election commissioner will be appointed by the CEC.Voters list will be prepared by the General secretary on the basis of clearance given by the 5 members scrutiny board to be appointed by the CEC from among its members at least one day (24 hours) before elections session. The same will be circulated among the delegates of the convention. The norms of scrutiny will be decided by CEC from time to Time. Objections in this regard to the bonafide delegates may be raised at least two hours before election session begins. The decision of the election commissioner shall be final. No further objections will be entertained . Nominations will be filled by the delegates for the offices/ membership of CEC duly proposed and seconded by a delegate each on the nomination from duly signed by the election commissioner at least one hour before the actual voting time. All the nominations will be scrutinized by the election commissioner and the same is published by the election commissioner. The candidates will be free to canvass their candidature by gentleman like and parliamentary methods e.g pamphlets, speeches , handbills etc. The association will provide the opportunity to contestants for three key officers viz. president ,gen. Secretary and treasurer to speak to the voters who may gather in the venue of the election . The minimum time available to the candidates for purpose would be 10 minutes per candidates. Such a section will be preceded over either by Election Commissioner or one of the two election officer. Voting will be by secret ballot under the direct control and supervision of the Election Commissioner duly assisted by the two election officers. Voting may be panel voting or office wise but the counting will take place only when the voting for all the offices/ memberships is completed. Candidates, if so desire may depute their agents to be present at the time of counting of votes which will be undertaken all most just after the voting is over. Candidates polling highest number of valid votes cast for an office membership will be declared elected by the Election Commissioner. The nomination forms, votes, e.t.c. will be sealed after the election is over and the same will be preserved by the general secretary of the association till next delegates convention. The Election Commissioner shall authenticate the result of the election by putting his / her signature on the list of successful candidates. The two election officers will also put their signature on the said list. A copy of the same will be supplied to each of the delegates before he/ she leaves the venue of the convention. The election thus concluded will be final and no objection be entertained. There after the Election Commissioner and election officers would cease functioning as such after the election results are declared by them. The following sub-committees of CEC will be constituted. (a) Standing Committee of CEC. The president, General Secretary and Treasurer will co-opt two other H.Q. based office-bearers /member to from the standing committee of CEC which will take urgent resolutions to face emergent situations where in it may not be possible to hold emergency meeting of CEC. If the co-opted members is/are transferred resign/ substitute will be co-opted by the president, general secretary and treasurer. Decision will be arrived at by a majority vote. The president, general secretary and treasurer will co-opt two central office bearers/ members to form legal and sub committee which will extent help in legal cases/ departmental proceedings to members and will file legal suit against or prepare the defense of the association or its members as a defense assistant in any case. The decision will be by a majority vote. In case of resignation etc substitute will be nominated by standing committee. The president, general secretary and treasurer will co-opt four members from among the CEC members to form welfare sub committee to look into the welfare measures of the association. The disision will be arrived at by the majority vote. May also be met to meet the needs of growing work by president, general secretary and treasurer by co-opting an even number of members from among CEC members. The formation of such sub-committees must be got ratified by CEC in its next meeting. The association shall follow the Grouping of Navoyada Vidyalayas into regions placed under the administrative control of deputy commissioner of NVS. The number of regions may therefore vary from time to time and will correspondingly effect the person and constitution of CEC. Regional committees will be regional editions of central body, generally speaking and shall function with autonomy but under the guidelines of CEC. In matters of difference of opinion between REC and CEC the stand taken by CEC shall be binding and final. The term of REC will be two years extendable to six months in two consecutive periods of three months each if situation demands. If any REC fails to hold regional conventions given by the end of eight quarter to be reckoned from the date of last convention and does not decide upon a date failing in the ninth quarter by the end of first month on this ninth quarter CEC or its standing committees is empowered to dissolve the REC and setup, an adhoc committee consisting of a president, general secretary and treasurer with the provisions that the overdue regional convention shall have to convene within the next three months to be reckoned from the date of three members adhoc REC is appointed. The three Office-bearers of the dissolved REC viz. The president, general secretary and treasurer will hand over the entire charge of the region with them to the adhoc body, which is turn will pass the charge on to the elected REC of the concerned region soon after the election is over latest by the end of a week from the date of the election. Failure in this regard on the part of dissolved or out going office bearers will amount to indiscipline and can be proceeded against accordingly. In the event of coming up of new region or vacancies caused by transfer of office bearers and CEC member of a region out of realignment of region nominations of adhoc office bearers against resultant vacancies and in newly created regions, may be made by CEC or its standing committee. (a) 20 office bearers to be elected by regional delegates convention. (b) REC members to be elected by regional delegates convention to the turn of 1/3 of total members of the live units, in whole number. (c) One member to be elected by REC from among the delegates of units which is/ not represented (a) or (b). Thus the total number of members of REC will corresponded within the number of live units at the time of regional convention + 20 regional office bearers. The REC will meet at least twice in every calendar year. Quorum will be 1/3 of the strength of REC. Emergency meeting may be called if warranted by emergent conditions of the concerned region. The distance between two regular meeting should be not less than two months. The venues of the regular meetings should change every times. At least a weeks notice should be given for REC regular meetings. Reasonable time be given to members to respond to emergency meeting notice. The membership of REC member, office bearers will place if he / she fails to attend two consecutive meetings of REC with out satisfactory reasons, therefore in which case prior written and a valid excuse are sought and got permitted from regional general secretary concerned. i. POWERS AND DUTIES OF REGIONAL OFFICE-BEARERS. The powers and Duties of the Regional Office-bearers will be same as those of Corresponding Central Office-bearers but in a regional context, except that the financial powers of the regional president and the general Secretary will be limited to Rs. 400 (Rupees four hundred). If the amount exceeds approved concurrence of REC should be got. Regional Sub- Committees will be formed on the model of Sub-Committees of CEC from among the members of REC and unit office bearers. Terms: of REC will be two years as is the case Marginal adjustments etc. Will be the regional edition of CEC in this regard. Election Procedure: This will follow the pattern of CEC election with the difference that the dates will be decided only after getting a clearance from the general secretary and under the guidance of a Central Observer who will also act as Election officer and his ruling in any matter of dispute will be final to be appointed by the central standing committee nominations . Election/ selection of office bearers/ members of regions should be made to confirm to central model latest by 31stJuly. (b) The office bearers of SEC will have the same function and duties of the REC. (c) Their jurisdiction will be within the limitation of their state only. a. 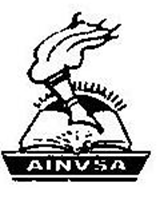 Every Vidyalaya unit shall be single unit directly affiliated to the AINVSA . b. General body for the unit shall be the supreme authority of the administration of the affairs of the association at unit level subject to the directives of regional & the central head quarters. c. The general body of each unit shall elect the following office bearers every calendar year to carry on day to day activities of the association. d. The unit committee will be constituted by taking less than 20% of the total members of the units. e. Election of office bearers in all units should be held between the date of re-opening of the Vidyalayas after summer vacation (summer areas) and but not later then 15th July or 30th June (monsoon areas) in any case. Unit office bearers shall be elected by 15th or 30thJune every year. 2. maintain complete accounts of the money received according to the procedure laid down by the central executive and submit a copy to the REC. The rules and regulations (constitution) of the association may be amended, altered, replaced, deleted or added to at any time with the approval of the delegates Convention by 2/3 (two-third) majority of the delegates present and voting provided that the item has been specifically included in the agenda and duly circulated for the meeting in which it is discussed, a fortnight in advance. (g) AMENDMENTS OF THE RULES AND REGULATIONS. The rules and regulations (Constitution) of the Association may be amended altered ,replaced ,deleted or added to at any time with the approval of the delegates convention by 2/3 majority of the delegates present and voting provided that the item has been specifically included in the agenda and duly circulated for the meeting in which it is discussed , a fortnight in advance. If the G. B. convened with the said agenda and decision is taken in that G. B. in the 2/3 majority the association has to be dissolved and assets liabilities will be disposed off as decided in the said General body. Amalgamation: If in the G.B. convened with the said agenda, and a decision is taken in the G.B with two-third majority, association can amalgamate with any other association with the same object. No office bearer at a given point of time will hold more than one office. If one does excepting one of his/her choice other offices should be resigned from, latest by this time and within one month of election to another office. (i) Total no. of members of CEC will change every time, a change is made by NVS in the number of regions . (iii) CEC will , by the majority vote arrive at decision with regard to a point which is not covered in these rules and Regulations or to the interpretation of those contain here in. Such decisions shall have the same force as the other rules and regulations and shall be binding on all the members of the association. (iv) The CEC however will arrange for the in cooperation of such decisions in the rules and regulation proper during the next delegates convention subject to its approval. XVIII. . Vote of Confidence & Election Proceedures. what are yours future plans for the welfare of NVS- TEACHERS ?